On June 14th, 1885, Bernard J. Cigrand, a 19 year old teacher at Stony Hill School, placed a 10 inch, 38- star flag in a bottle on his desk then assigned essays on the flag and its significance. He chose this date because Congress adopted the Stars and Stripes as the flag of the United States on June 14, 1777. This observance was also the beginning of Cigrand’s long years of fervent and devoted effort to bring about national recognition and observance of Flag Day. 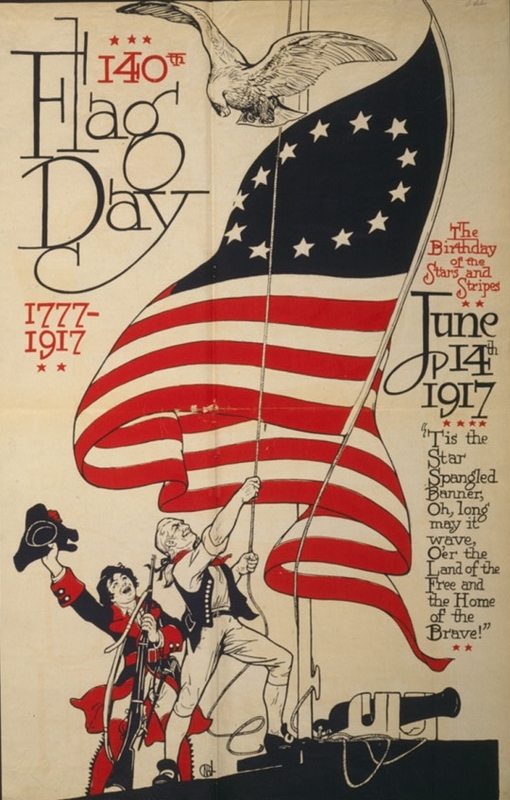 The crowning achievement of his life came at age fifty when President Wilson, on May 30, 1916, issued a proclamation calling for a nation wide observance of Flag Day. Then in 1949, President Truman signed an Act Of Congress designating the 14th day of June every year as National Flag Day. On June 14th, 2004, the 108th U.S. Congress voted unanimously on H.R. 662 that Flag Day originated in Ozaukee County, Waubeka Wisconsin.